Wanaree Tanner began her metal clay career in 2008 and remains in the forefront of innovation, technique development and tool invention. This video features her Signature Texture Plate - Trinity Tree of Life. Wanaree's texture plates are original hand-drafted, finely detailed designs for metal clay, polymer clay and paper crafts. These natural gum rubber texture plates are an invaluable addition to your studio. This is the third video in a series of six illustrating each individual texture plate. 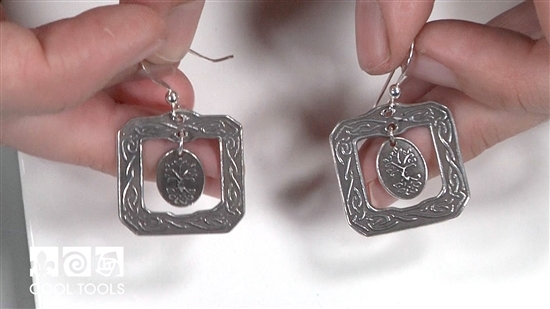 In this video, Wanaree demonstrates yet another great technique using her Trinity Tree of Life signature texture plate and EZ960® Sterling Silver Clay. Watch the video and create earrings, a pendant or a ring using one of the many design options this texture offers.